This badge was issued to Philip Mills on 28 Dec 2018. 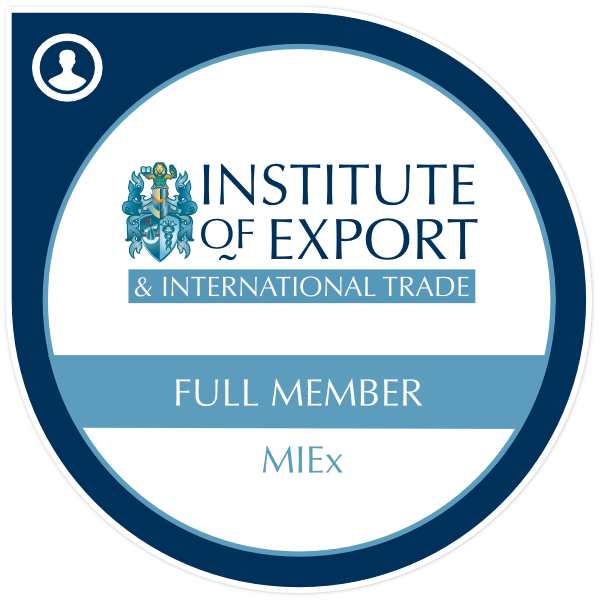 A Full Member has reached eminence in the course of their employment in international business or in overseas related trade through ten years' or more experience in International Trade and/or completed a Level 5 or higher professional qualification with the Institute. Has ten or more years' relevant experience in international trade or has completed a Level 5 or higher qualification with the Institute.